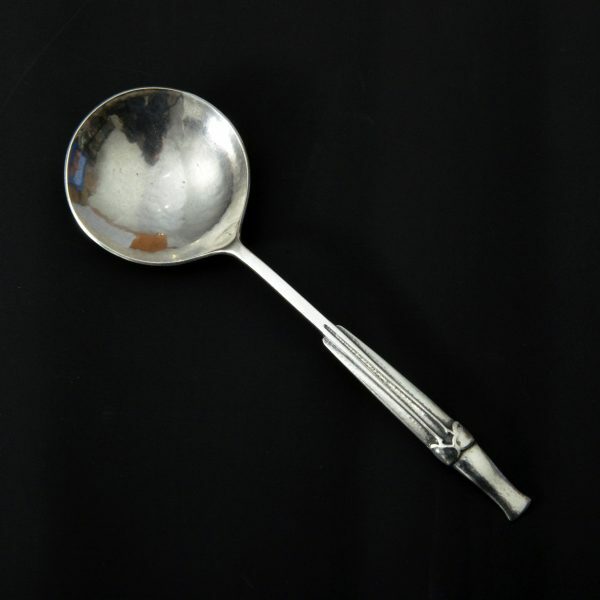 A rare and heavy Liberty & Co silver spoon by Archibald Knox. This is a variant on the “The Neeba” design drawing in the Silver Studio archives held at the Museum of Domestic Design and Architecture, Middlesex University. The original drawing dates it to an early Knox design of c 1899. It is marked for model 337 and appears with that number in the Liberty silver sketch book, Westminster Archive. 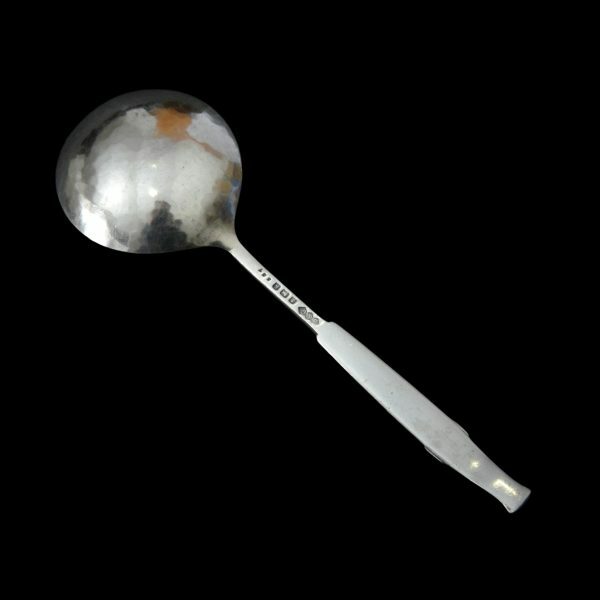 The spoon was not, however, in either of the early Cymric catologues and was most likely therefore not marketed, hence its rarity. This, and the only known other example, date to 1906. The other can be seen, with enamel, on page 68 of Simon Moore’s book “Artists spoons and related table cutlery”. 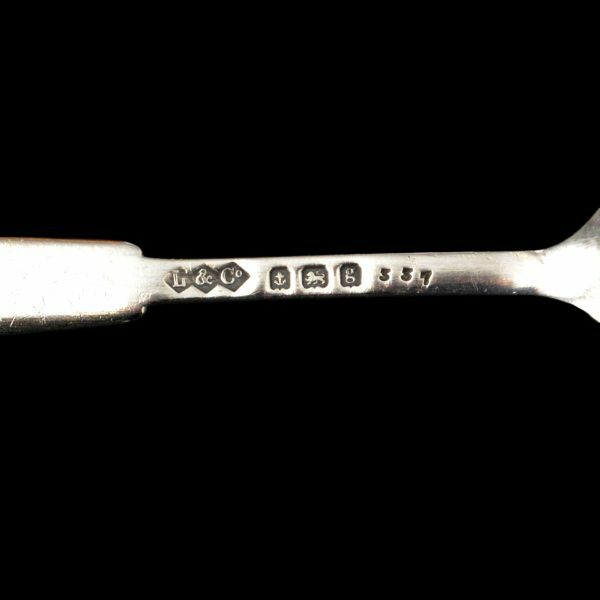 The original Knox design drawing from the Silver Studio is also produced on the same page showing that the later spoons carried a small modification, losing what may have been a problematic and fragile terminal to the finial.